This critical analysis of aid organizations illustrates the expanding role of NGOs in international relief operations, and highlights the problems confronted by humanitarian groups. The book presents an overview of recent trends in the international relief community. Various relief operations are compared, to demonstrate why NGO co-ordination has become such an important issue. 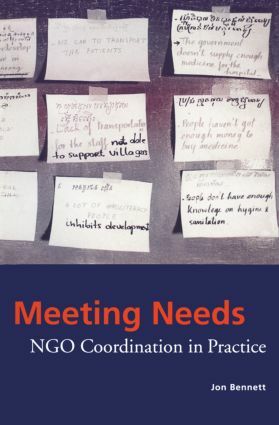 Case studies show how enhanced international co-ordination could improve the overall performance of NGOs and the United Nations.